The Metro Cotabato Water District’s vision is to be highly efficient water utility, rendering excellent service to the community. Its mission is to provide adequate, safe and affordable water supply to all its concessionaires, deliver efficient service and be responsible in promoting environmental conservation, rehabilitation and sanitation. To be true to ourselves and trustworthy in dealing with others. As an employee of the MCWD, it is expected of us to be proper to ourselves and truthful in dealing with others, especially to our customers/concessionaires. To take full responsibility for our actions. One must be responsive to the needs of the public especially so when it calls for efficient services. We are accountable and transparent in carrying out the District’s operation. 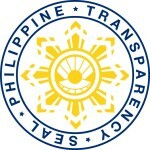 To perform our duties with commitment under the principle of transparency. We are committed to our work and take full responsibility for our actions and maintain commitment of courtesy, fair assessment and speedy resolution of all customer concerns.Our actions will be centered on transparency, accountability and integrity as public servants. To work together as a team, with dedication, dignity and respect, to achieve our corporate goals.Each employee is obliges to perform its duties to the highest level of performance. We will work together, share information and resources to achieve our common goal. We are dedicated to ensure that every individual is treated with dignity and respect, and that differences are valued and individual abilities and contributions are recognized. To provide effective and efficient service to our customers.Finest and excellence service will be provided to the public and concessionaires, demonstrating courtesy, respect and efficiency.